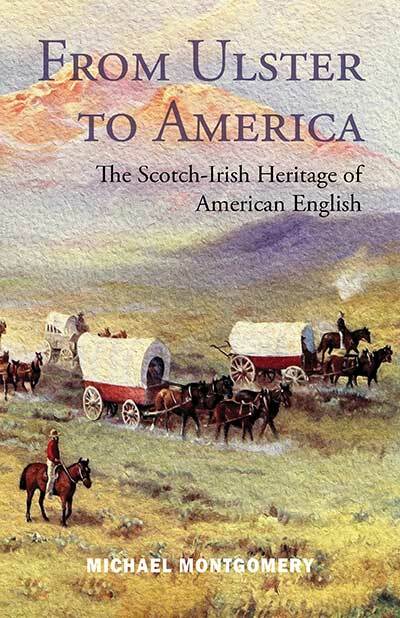 Comments: From Ulster to America recounts the lasting impact eighteenth-century settlers from Ulster have made on the development of the English language of the United States. The book documents over 500 vocabulary items contributed to American English by these ‘Scotch-Irish’ settlers. Each ‘shared’ term with its meaning is authenticated by quotations from both sides of the Atlantic. This searchable online version of his book takes its text from the dictionary part of the second edition published by the Ullans Press in 2017. This online version of From Ulster to America excludes the preliminary material, including the Introduction, and the extensive list of sources cited contained at the end of the book. However, the dictionary part will generate results from the site search box or can be navigated using the links at the bottom of each entry.